In the 1940s, there was one integrated jazz club in New York City where all the greats played: Café Society in the West Village. Today, The Café Society is a group of jazz musicians in Brooklyn, NY, led by bassist Jim Greene, saxophonist Justin Flynn, and vocalist Emily Wade Adams. 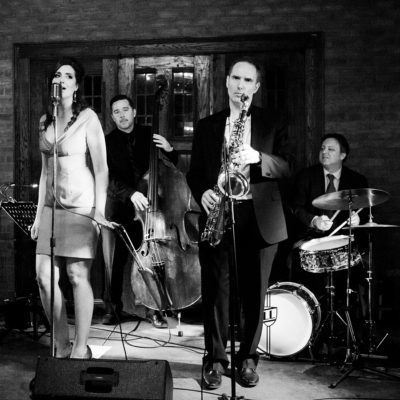 Together with some of the city's most sought-after musicians, they deliver soulful, classic jazz standards without any pretense.